Inexpensive Metal Pens w/ Blue Ink, Custom Engraved. Best in America. Inexpensive Metal Pens w/ Blue Ink, Custom Printed or Laser Engraved. Blue, Green, Red, Silver. Classic Brand. Budget Prices in USA and Canada. Metal Plunger Action Ball Point Pen. 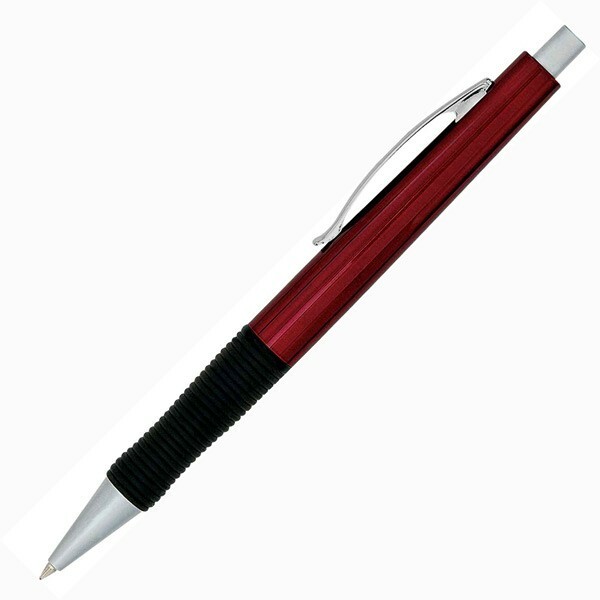 Quality, smooth writing metal ballpoint pens with medium blue ink refill, personalized with your custom imprint or laser engraving. American clients pay no taxes. Free artwork design and free proofs!